Prime Minister Haider al-Abadi sought to ease tensions in Iraq's oil-rich south on Monday with a visit to Basra, rocked by deadly protests over alleged corruption and government neglect. After 12 demonstrators were killed and many of Basra's institutions torched, calm returned to the city late Saturday as Abadi's rivals in Baghdad said they wanted to form Iraq's next government without him. For five days last week protesters had flooded the streets, clashing with security forces and torching the provincial headquarters, the Iranian consulate and the offices of armed groups. Organisers have attempted to dissociate themselves from the violence and called for a halt to the demonstrations. 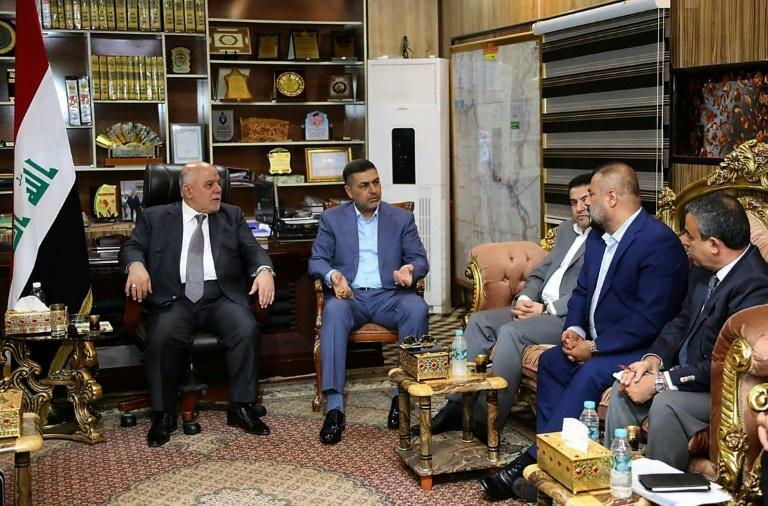 On Monday, Abadi met with officials in Basra who have accused Baghdad of neglecting the southern province and failing to redistribute oil wealth. His visit came just 48 hours after the prime minister came under fire at an emergency meeting of parliament, where he faced calls to resign as his alliance with a populist Shiite cleric crumbled over the deadly unrest. The cleric, Moqtada Sadr, distanced himself from his one-time ally Abadi, while a rival alliance of pro-Iranian former paramilitary fighters said it would work with Sadr to form a new government that excludes the premier. The announcement endangered Abadi's hopes of holding onto his post. The embattled premier shot back on Monday from Basra by accusing unnamed "political parties who have armed wings" of having tried "to set Basra province on fire", according to state broadcaster Al-Iraqiya. His remarks came as Grand Ayatollah Ali Sistani, the spiritual leader of Iraq's Shiite majority, hinted in a statement on Monday that he was opposed to Abadi staying in the post. Sistani, who is widely respected across Iraq, spoke of the political and economic challenges facing the country and said the next prime minister should not be someone who has already served. In Basra, Abadi also denounced violence against on diplomatic missions, Al-Iraqiya reported. "Attacking a consulate or diplomatic post is unacceptable," Abadi was quoted as saying. Protesters on Friday stormed Iran's fortified consulate, burning documents and equipment left behind by fleeing employees, none of whom were hurt, according to a consular spokesman. Neighbouring Iran is a key power broker in Iraq and many of the militias and political parties whose offices were torched in last week's unrest are known to be close to the Islamic republic. 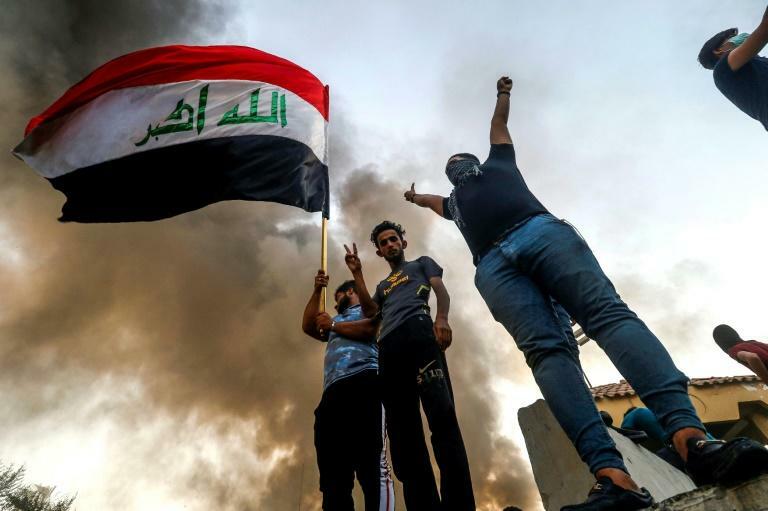 Basra has been at the epicentre of protests that broke out in July in the southern province before spreading to other parts of the country, as demonstrators demanded jobs and condemned corruption among Iraqi officials. Anger in Basra flared on Tuesday over a growing health crisis, after more than 30,000 people were hospitalised by pollution in the city's water supply. Twelve protesters have been killed in the ensuing clashes, with rights groups accusing security forces of using excessive force. Officials have blamed the deaths and violence on "vandals" who infiltrated the demonstrators. "There can be no public services without security," Abadi was quoted as saying during his visit on Monday by state television. He also vowed he would not leave Basra "before receiving guarantees" for projects which the government is trying to launch to solve the water contamination crisis. But residents and local officials were sceptical that the government -- which in July pledged a multi-billion dollar emergency plan to revive infrastructure in southern Iraq -- would keep its word. Many have complained that Iraq's oil wealth is unfairly distributed with little of it trickling back to residents of Basra province. On Saturday, Abadi's government announced it would allocate an unspecified amount of extra funds for Basra. But demonstrators have been unimpressed, saying the billions of dollars pledged in July had failed to materialise.